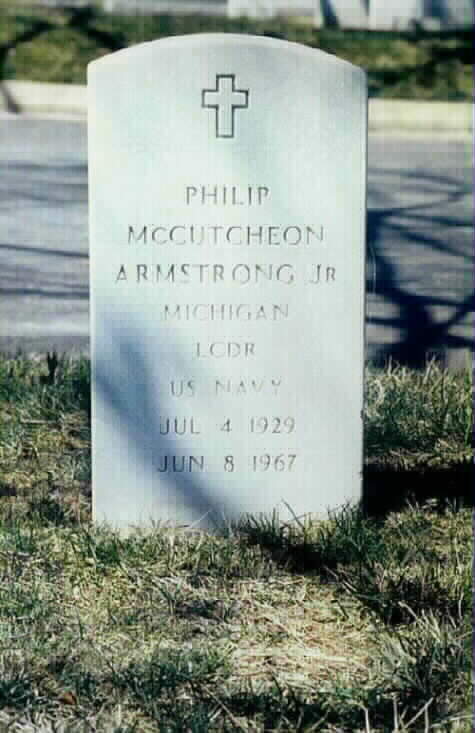 LCDR Philip McCutcheon Armstrong, Jr., USN, 569825/1100. Born 4 July 1929, Detroit, Michigan. 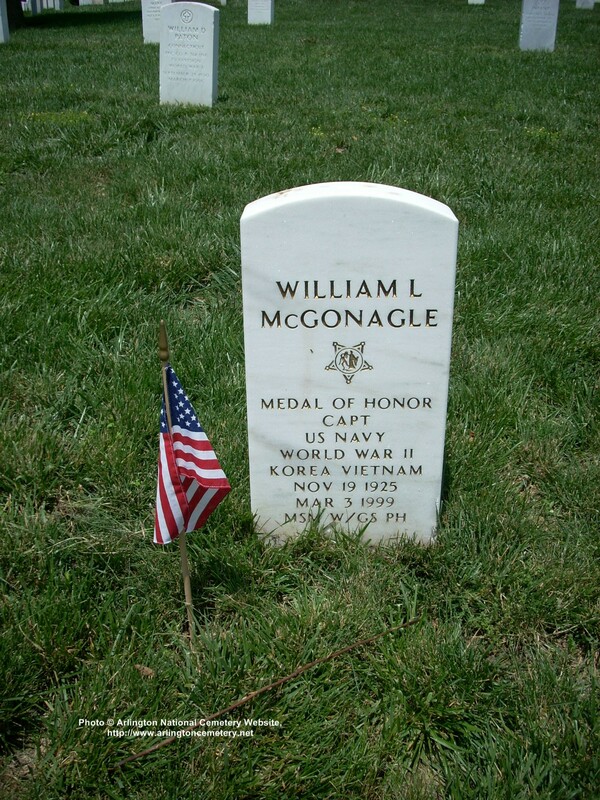 Active duty since 5 June 1953. Wife: Marie Kearney "Weetie" Armstrong, Virginia Beach, VA (died 1988) Father: Philip M.C. Armstrong, Detroit, Michigan. Mortally wounded near the bridge attempting to extinguish large fire. Died about 4 hours later in battle dressing station. 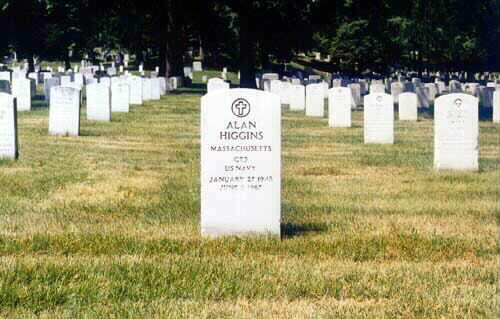 Received Navy Cross for heroism during battle Buried: Arlington National Cemetery grave 2096X, Section 3. 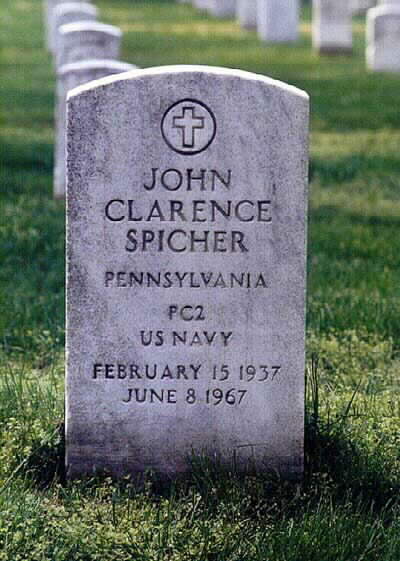 His wife died about 1989 of cancer. Remembrance: Memorial display in Military and Space Museum, Frankenmuth, Michigan, dedicated November, 1990, contains his Navy Cross, uniform, story of attack, copy of Ennes' book. 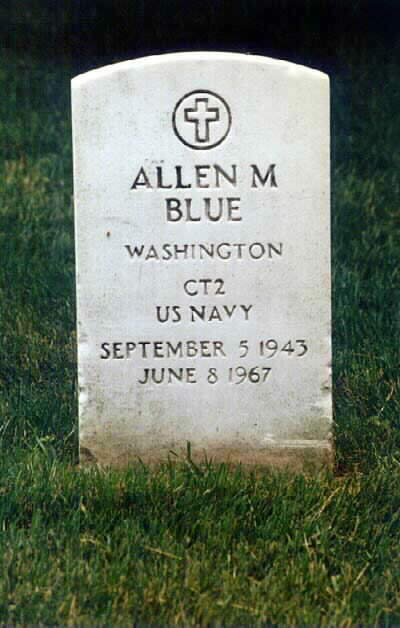 CT2 Allen Merle Blue, USNR-R, 391 18 71. CT2 Ronnie Jordon Campbell, USN, 586 13 23. 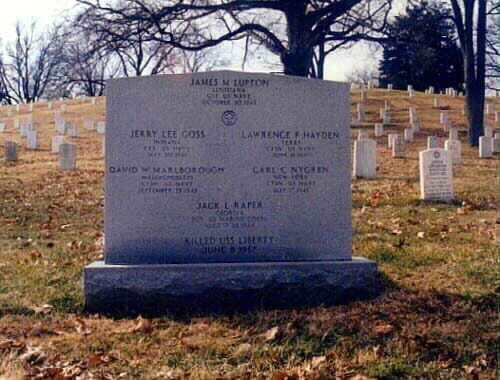 CT2 Jerry Lee Goss, USNR, 773 61 55. 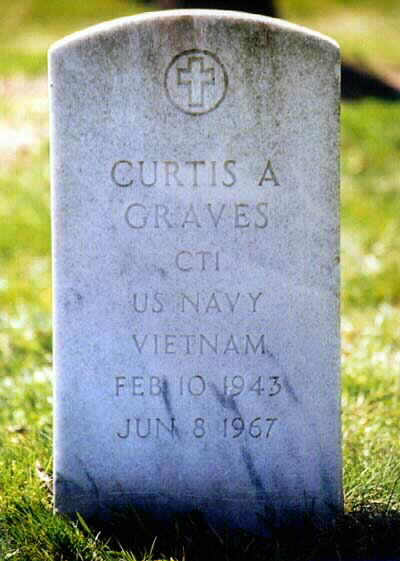 CT1 Curtis Alan Graves, USN, 519 58 24. Born 10 February 1943, Grosse Pointe Farms, Michigan. Active duty since 22 August 1961. Mother: Florence McCullum Graves, Ft. Lauderdale, FL. Father: deceased. Died in Research. 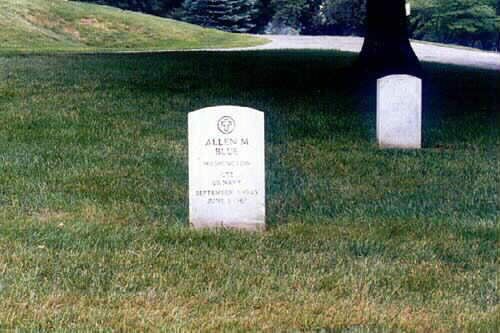 Buried: Arlington National Cemetery, Grave #3773, Section 67. Remembrance: Memorial display planned for Military and Space Museum, Frankenmuth, Michigan (planned dedication summer 1990). Remembrance: Graves Hall (barracks) in Pensacola, Florida. CTSN Lawrence Paul Hayden, USN, B70 53 70. 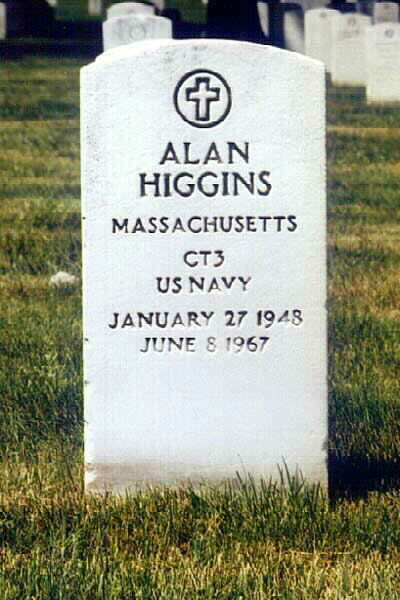 CT3 Alan (NMN) Higgins, USN, 788 62 97. Born 27 January 1948, Weymouth, Massachusetts. Active duty since 16 September 1965. Parents: Mr. & Mrs. Wilbur C. Higgins, Dover, Delaware. 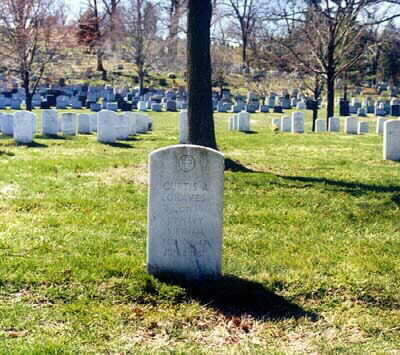 Buried: Arlington National Cemetery, Grave #1773, Section 12. CTC Raymond Eugene Linn, USN, 571 13 74. Born 30 June 1928, Adamsville, Ohio. 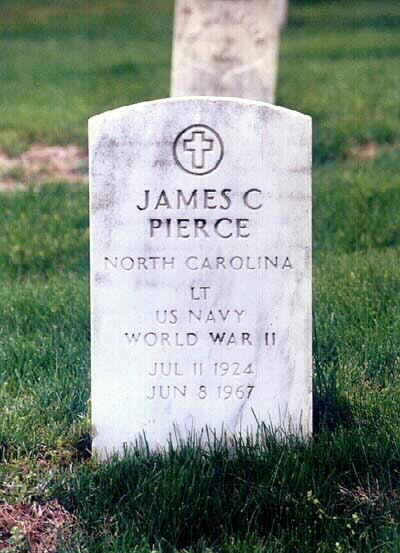 Active duty since 25 September 1946. Divorced. Adopted Daughter: Linda Loucille Linn, Zanesville, Ohio. Daughter: Joy (Mrs. Larry R.) Linn Evans, Aurora, Ohio 44202. Died in Research. 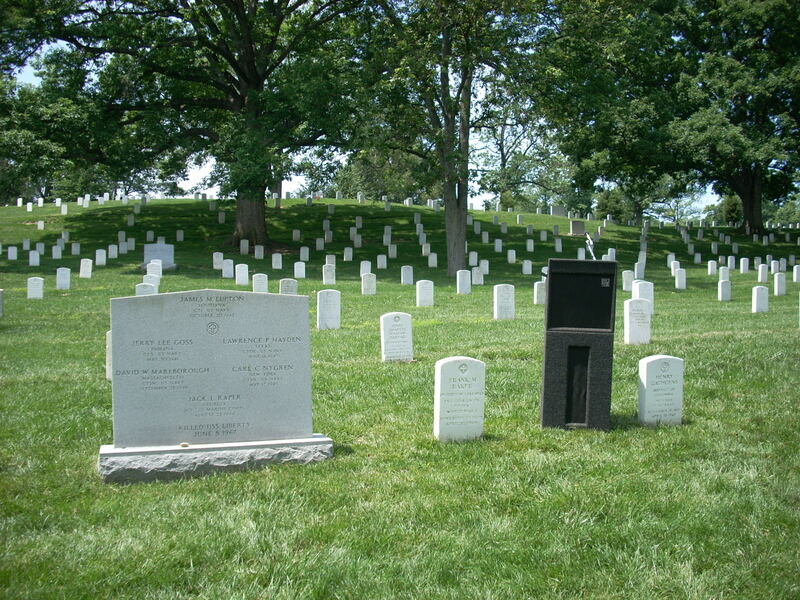 Buried: Arlington National Cemetery, Grave #1724, Section 12. Remembrance: Linn Barracks in Japan. Linn Operations Building in Sugar Grove, West Virginia. 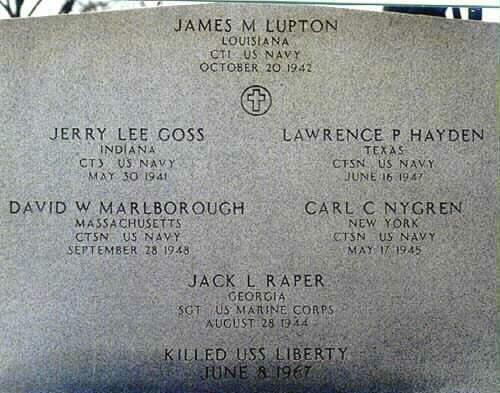 CT1 James Mahlon Lupton, USN, 511 31 28. CTSN David Walter Marlborough, USN, B10 04 80. CTSN Carl Christian Nygren, USN, 788 37 16. 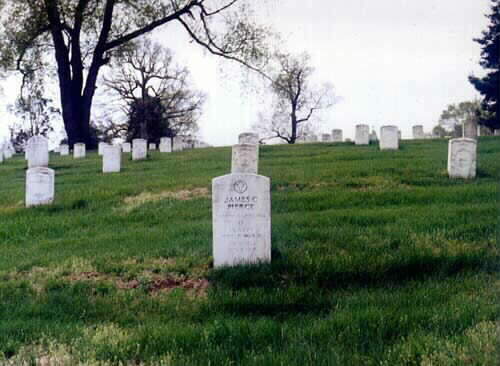 Wife: died soon after.Buried: Arlington National Cemetery, Section 13, Grave 8576-R.
SGT Jack Lewis Raper, USMC, 1994072. 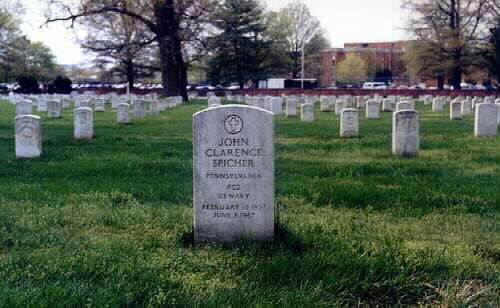 PC2 John Clarance Spicher, USN, 473 41 77.